I call it the Loisaida Country Club. It is Hamilton Fish Park on Pitt Street and East Houston – also known as the Pitt St. Pool or Ham Fish for short. 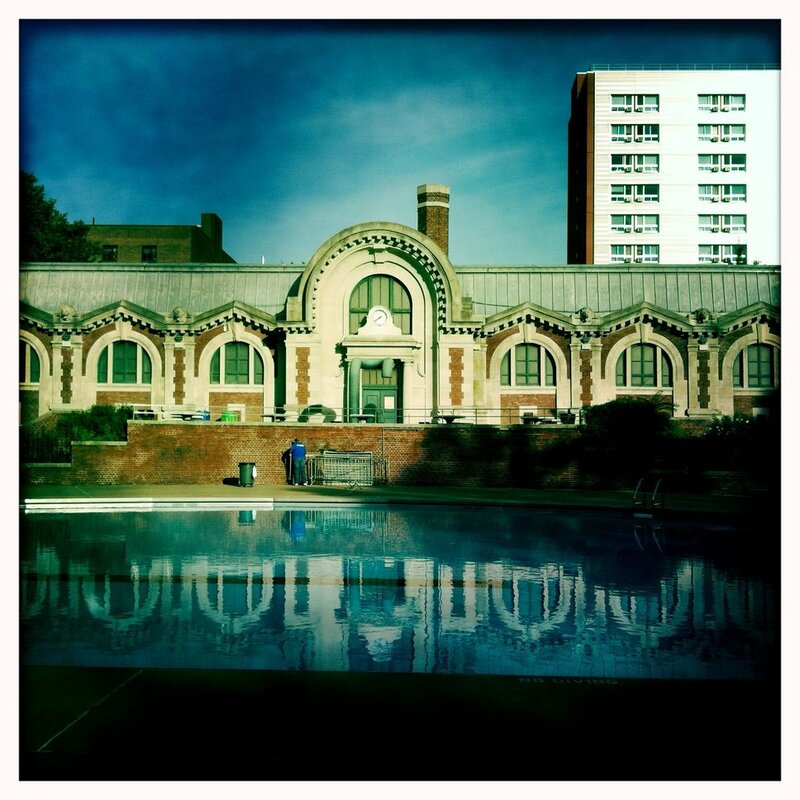 It is an Olympic-sized outdoor swimming pool surrounded by a park with basketball courts, playgrounds and a Beaux-Arts structure housing a community center designed in 1898 by Carrère & Hastings, the architects of the New York Public Library. At the start of the summer, right after the public schools let out, the Hamilton Fish pool opens and you see clusters of children and teens beating a path to the pool in brightly colored swimsuits and flip flops, or on their way back in the late afternoon with wet towels slung around their shoulders, their faces sun-kissed and relaxed. 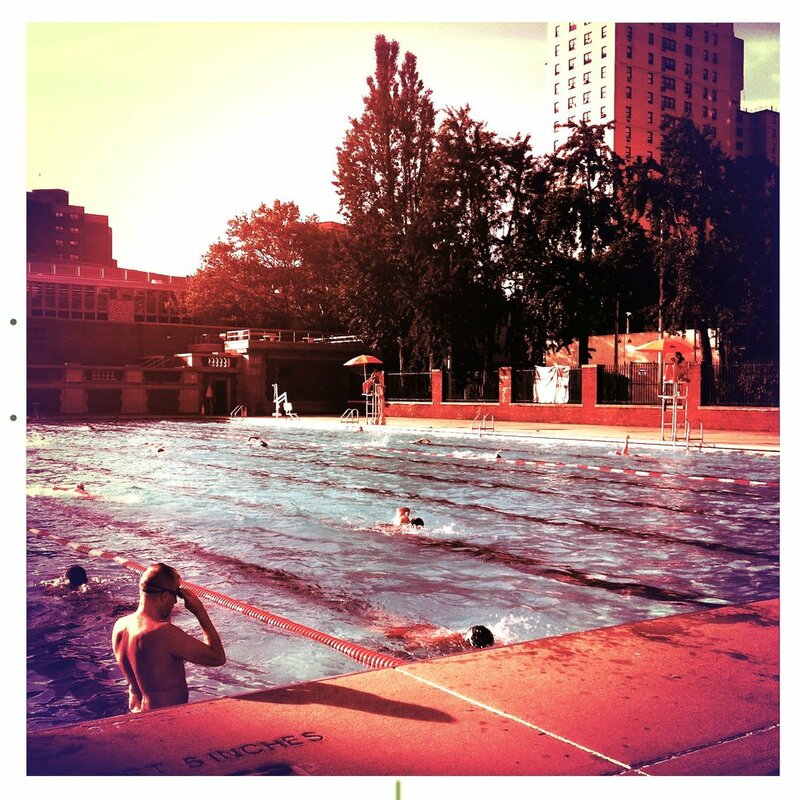 The pool, like all the other city pools has a very civilized program in the summer for adult swim – hours for purely laps, no playing or floating around. I am a big fan of the Early Bird swim and I will only miss it when there is thunder or a downpour and they close the pool. Since I’ve never been able to still my thoughts enough for meditation, swimming is the closest I’ve been able to get to it. 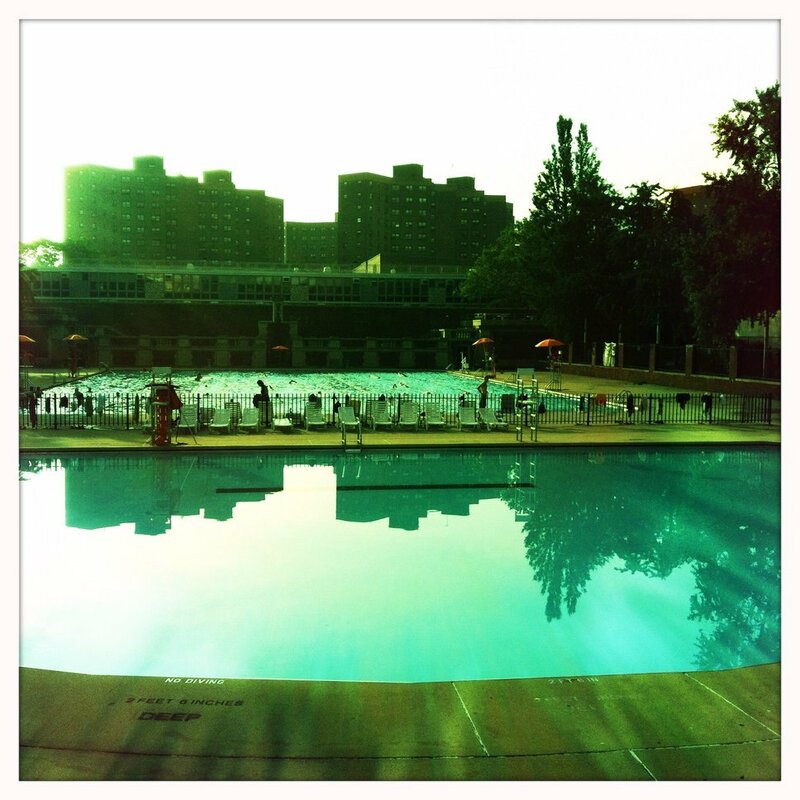 The smell of chlorinated water signals pleasure to my brain – a Pavlovian response. 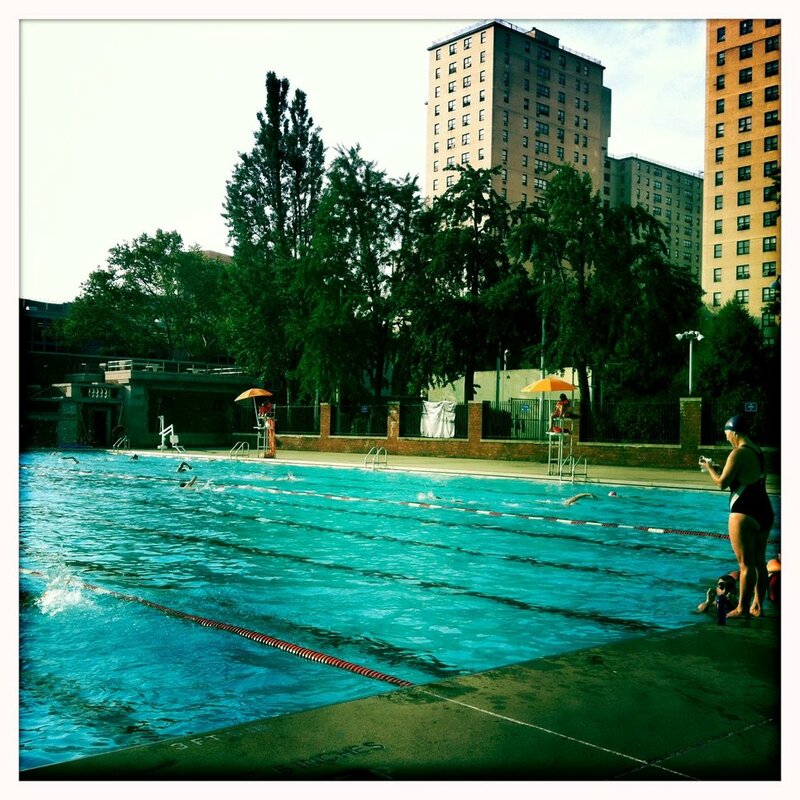 The 50 meters length at Hamilton Fish is a blissfully long stretch to swim without having to turn. Plenty of time to enjoy the sight of the sun ripples in the turquoise blue water and as you turn your head to breathe, the dark green gingko trees that frame the lifeguards in their orange suits under their orange umbrellas. The rhythm of my strokes and the sound of the bubbles of my exhaling breath, gets me to thinking in a slow and focused way. I run into a lot of my neighbors at the Loisaida Country Club. Some are swimming friends that I only run into at the pool year after year. One summer when I missed weeks of swimming, one of my swimming friends actually hunted down my phone number to call to see if I was okay. There is a comforting routine to it all. Swimmers come at the same time every morning and mostly swim in the same lanes. Scott always does sun salutations before his swim. Robert likes the water icy and complains when it’s too warm. 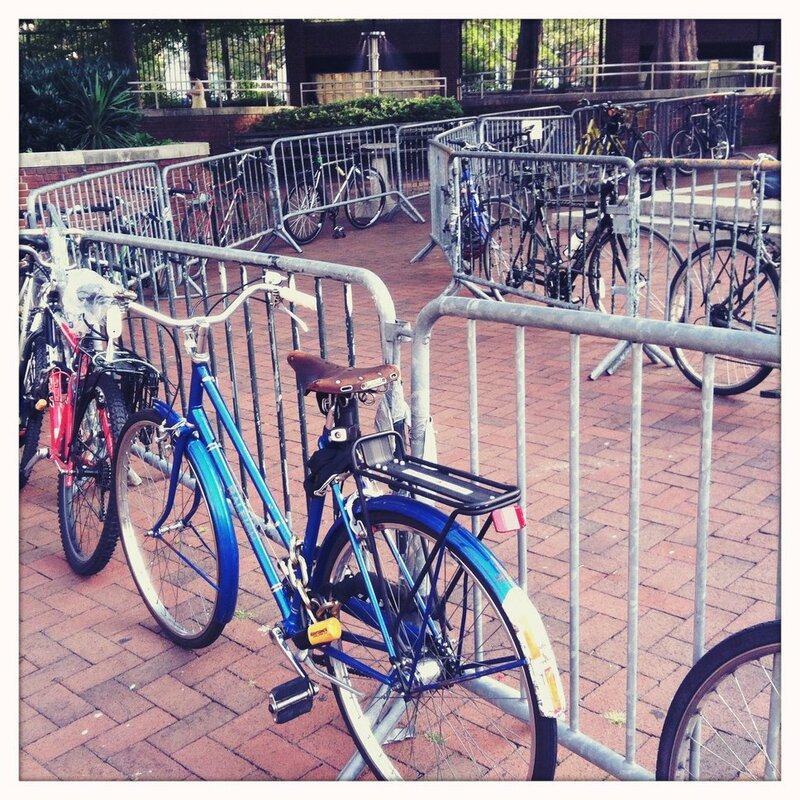 I asked Barbara who bikes over from Williamsburg why she doesn’t go to the newly renovated McCarren pool. Isn’t it an Olympic sized pool, I ask? Yes, said Barbara, “But they make you swim the short way, 25 meters”. That’s stupid, I responded. “Yes, it is”, says Barbara, “25 meters is indoor pool”. 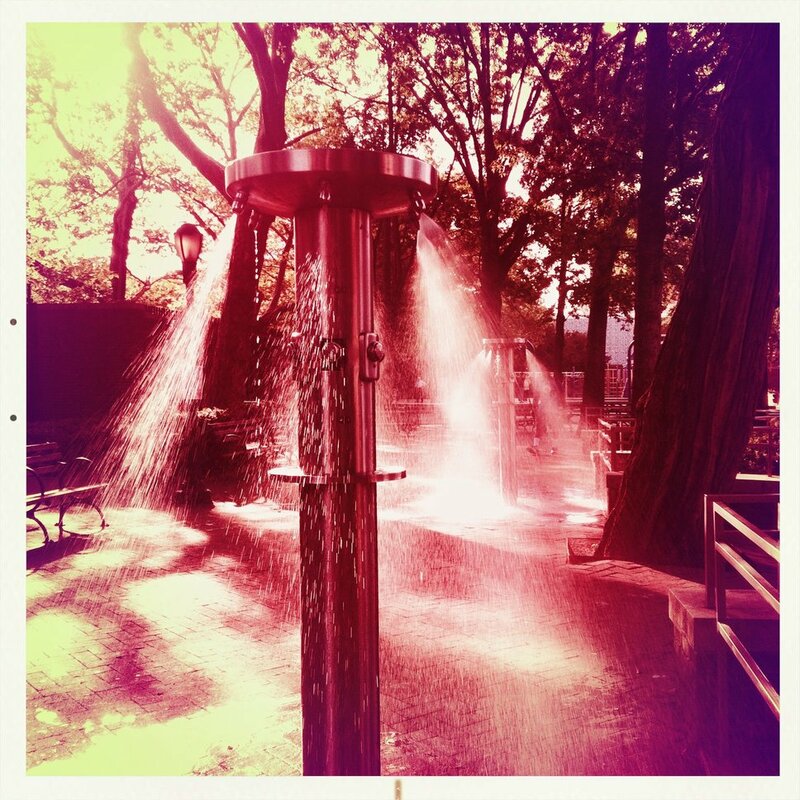 All the photos in this post were shot with the Hipstamatic app. I love it because it is like the old film cameras in both effect and the delightful surprise of the results. 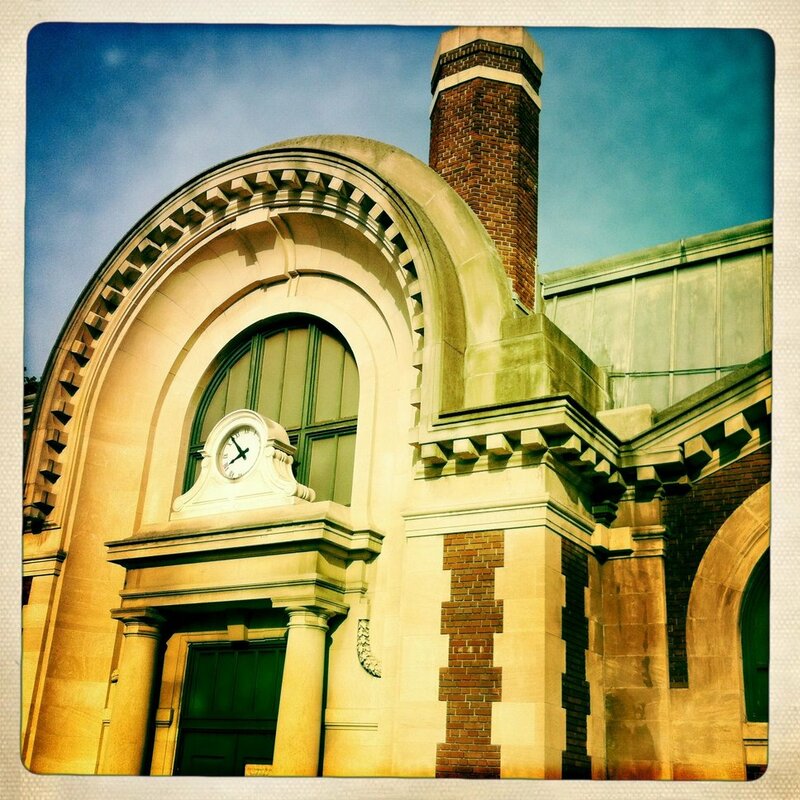 A great resource is Schmutzie’s Hipstamatic Lens, Film and Pak Guide. 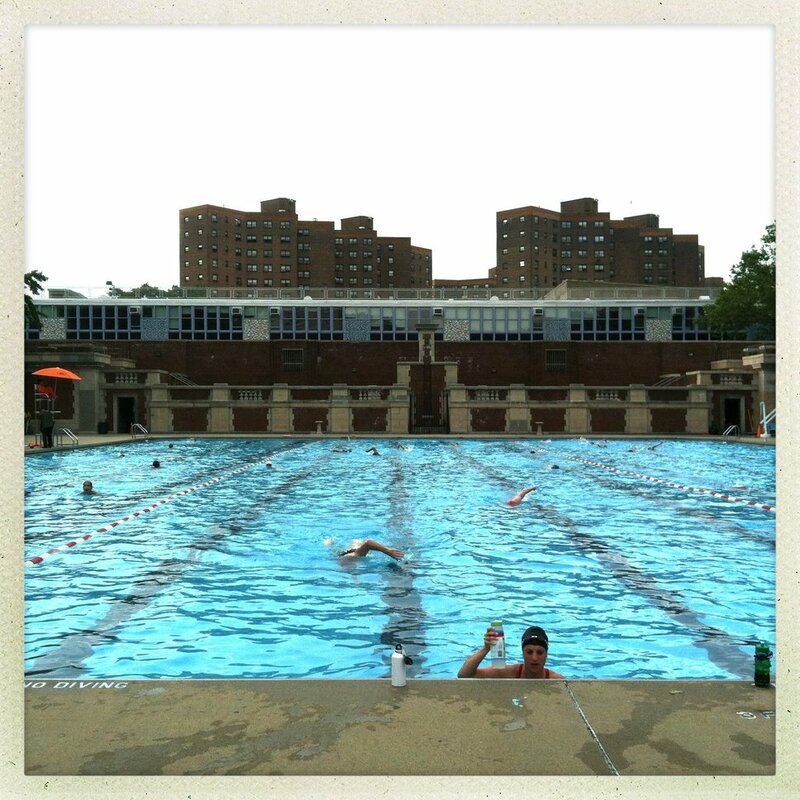 This entry was posted in loisaida - the neighborhood and tagged Early Bird Swim, Ham Fish pool, Hamilton Fish pool, Hipstamatic, loisaida, Loisaida pool, Pitt Street Pool by ileana. Bookmark the permalink. I was just wondering how Millie is doing. Millie is doing fantastic! Thanks so much for your concern. I will be posting a followup on Millie in the early fall with a video. I will surely let you know when its up. What a lovely post – stunning photographs. I really must get myself a better phone as I find lugging my camera around with me all the time is becoming a drag. Love the sound of the pool community too. Fish! Fish! Fish! You captured it all so beautifully in both words and images, Ileana!